If you want your bathroom to have a stunning designer edge then fitting a frameless shower enclosure is a great idea. These crisp, modern items will create a look that's right on-trend. 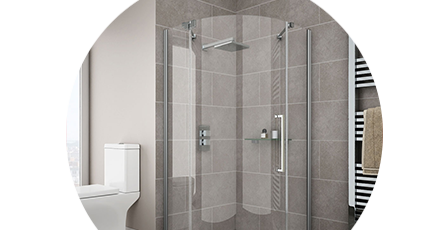 Our frameless shower enclosures have been created to give you a feeling of luxury when you take a shower. Their sleek build is easy on the eye and their clean, open feel makes every showering experience feel totally luxurious. Each of our frameless enclosures have been crafted to meet the highest standards. These frameless designs will not only give you a stylish alternative but they'll also last for a long time. Incredible price and a quality product.